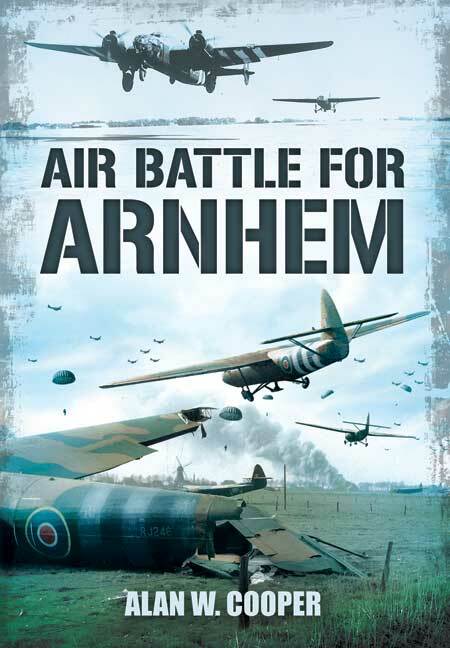 You'll be £19.99 closer to your next £10.00 credit when you purchase Air Battle for Arnhem. What's this? Over sixty years ago a battle took place that, if it had succeeded, could have shortened the Second World war by six months. The operation to take the bridges at Arnhem was given the code name 'Operation Market Garden', Market being the air side of the operation and Garden the subsequent ground operation. The main problem was communications between the ground forces and the re-supply aircraft of the Royal Air Force. Its their efforts and the courage on evident display at Arnhem that the book is based upon. Over a period of seven days troops of the 1st Airborne were taken by the RAF in towed gliders and then in subsequent days showed courage of the highest order to make sure that the ground troops were supplied with ammunition and food to sustain them in their efforts to take the bridges at Arnhem. Their efforts were costly, 309 aircrew and 79 Air Dispatchers were killed and 107 aircraft, which included the men and aircraft who supported the main re-supply armada. One of the re-supply aircraft, flown by F/Lt David Lord DFC, was shot down. Lord was later awarded the Victoria Cross. His courage and dedication are exemplary of the efforts of the men of Transport Command to make sure the men on the ground were re-supplied. The men of the Air Dispatchers, or AD's as they were known, must always be remembered when regarding Arnhem. Their efforts to make sure the supplies were released from the aircraft, and on to the besieged men on the ground, was a vital factor in getting vital supplies to the troops successfully. This is their story, vividly told, and serves a commemorative purpose, memorialising both the events and, most importantly, the men who participated. [T]he narrative is generously reinforced throughout with individual stories from the aircrews. The story of the brave men of Air Dispatchers, whose job was to ensure that the troops on the ground were equipped with adequate supplies during one of the most dynamic and pivotal episodes in Second World War history. This is the story of the brave men of air dispatchers, who's job was to ensure that the troops on the ground were equipped with adequate during one of the most dynamic and pivotal episodes in World War II. It's a title that is a must have for any aviation and military historian of the war. Sixty years ago a battle took place that, if it had succeeded, could have shortened the war by months. The operation to take the bridges at Arnhem was given the code name 'Operation Market Garden'; Market being the air component of the operation and the Garden the subsequent ground activity. The main problem was communications between the ground forces and the re-supply aircraft of the Royal Air Force, This new volume examines the bravery of the men who took part in this operation as its central focus. Over a period of seven days, troops of the 1st Airborne were taken by the RAF in towed gliders and then in subsequent days showed courage of the highest order, to ensure that the ground troops were supplied with ammunition and food to sustain them in their efforts to take the bridges at Arnhem. Their efforts were costly, 309 aircrew and 79 air dispatchers were killed plus 107 aircraft shot down; among these accidents and fatalities were many of the men and aircraft that supported the main re-supply armada. Many men were awarded the Victorian Cross for the part they played in the operation. These efforts deserve their place in the annals of war history. Oft-overlooked, the men of the Air Dispatchers, or ADs as they were known, played a vital part in ensuring that men on the ground were equipped with adequate supplies. This is their story, set against the backdrop of one of the most dynamic and pivotal episodes in World War II History. This latest book by Alan Cooper tells the story of the air operation in support of Operation Market-Garden. The operation was described to the air crews before take-off by US General Lewis Brereton, who commanded the Combined Airborne Headquarters: "You are taking part in one of the greatest airborne operations in military history. On the success of your mission today, on the navigational and flying skill and courage of the aircrew and the skills, courage and speed and the landing force rests the difference between a quick decision in the west and a long drawn out battle." The plan was, in the first wave, to airlift 2,400 men of the 1st Parachute Brigade who would be parachuted in, and 2,900 men of the first Air Landing Brigade who would be landed by glider. Though Market-Garden was a failure, the airborne element was highly successful in both the dispatching of the airborne forces and their re-supply throughout the duration of the battle. The main focus of the book are the actions of the RASC Air Dispatchers who maintained the vital re-supply. They flew in Dakota's, Halifax's and Sterlings. It was these people who actually discharged the containers and panniers from, in the case of the Dakotas, the side of the aircraft, and from the bombers, through the bomb doors. Alan Cooper provides a brief history of the air dispatchers and outlines their organisation, before concentrating on their role at Arnhem. He tells the story of their part in keeping the ground troops supplied through that unfortunate operation. The helpful appendices of the book include medals awarded to members of the RAF during the Arnhem Battle (amongst which was a posthumous VC to Flight Lieutenant D.S.A Lord) and details of the aircraft lost, with the cause of the loss and the fate of the crew members. This volume records the efforts of the RAD personnel from transport Command who participated in the operation. Also considered are the Air Dispatchers who played a vital role in the re-supply effort. The book is their story. After an introductory chapter Operation Comet is described and then the role of 46 and 38 Groups. Then treatment of Operation “Market” is given on a virtually day-by-day basis. After this “diary of events” the author presents a post-mortem of the operation and a review of the battle’s outcome. There are some useful Appendixes on awards to the RAD for the Battle for Arnhem and RAF losses during the battle. Given the author’s expert treatment of this material one can confidently say that this work is going to be leading book on the role of RAF Transport Command during the Battle of Arnhem. His work is exceptional and very thorough.